The GARCES RAMS FANS BOOSTER CLUB mission is to support Garces Memorial High School athletics programs, promote student achievements, and increase school spirit in our communities. We fund the costs of uniforms, equipment, travel, college scholarships, venue upgrades, and special events. Access to funding from the general booster club account is available only with voting approval from the GARCES RAMS FANS BOOSTER CLUB, and the approval of the Garces Memorial High School Athletic Director.  Specific team accounts may be used by a head coach, only with approval of the Garces Memorial Athletic Director; a booster club vote is not required. The GARCES RAMS FANS BOOSTER CLUB has several membership levels to match your level of interest and desired support. Your membership may be as individuals, families, and/or businesses. As a member, your access to athletics events will be enhanced and your level of support will positively impact thousands of fans, students, staff, and parents. Mengha Sanghera Collaborative Learning Center on campus at GMHS. All memberships include the following general benefits: voting rights at our nine regularly scheduled booster club meetings (this year we have eleven), PSI hours, booster club car window decal sticker, yard sign, and t-shirt. admissions for the single game night sponsored, for employees, etc. (5 other company logos will also be included). Sponsor recognition and logo on the football/fall sports program cover, for the single game sponsored. Double full page ad on middle pages of the football/fall sports program, for the single game sponsored. 1/2 page ad included in the program for all home games, excluding the single game sponsored. Premium location sideline banner at home football games. A give away item with your logo and Garces Rams Logo to first 500 home fans in attendance. throughout the game (5 per quarter). Director and/or Principal for your support of Garces Memorial High School. Kick competition on the field in front of the home crowd to win official Garces Team Spirit Wear prizes. Scoreboard message board scrolling advertisements thought the game. game, including a personal or company related message you would like to share. Two home football game tailgate passes for the season. Three reserved parking spaces for the sport(s) of your choosing. Additional complimentary tickets, reserved seating and tailgate passes, for the individual game sponsored. *Sponsorship of other sporting events may be arranged on an individual basis.